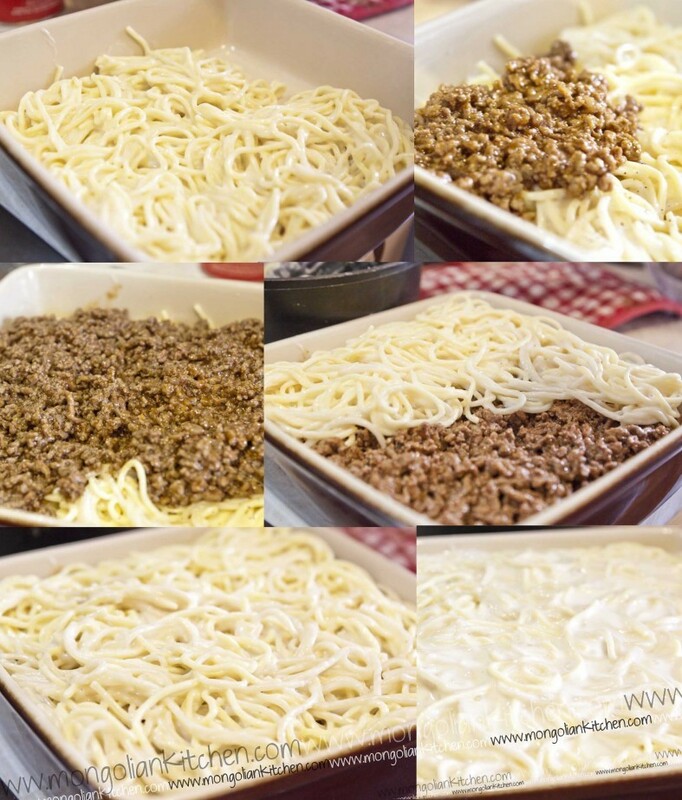 This dish is something we grew up on, basically translated into Pasta with bechamel sauce and a mediterranean style bolognese filling. 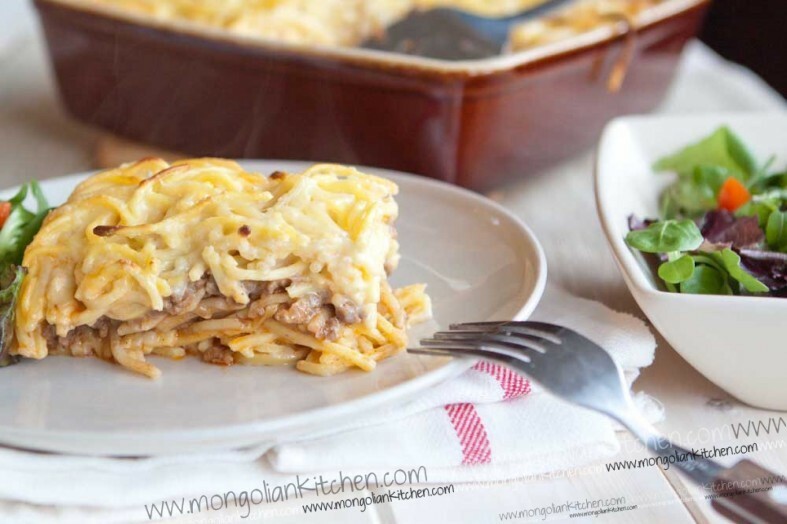 The origins of this dish are greek where it is called Pastitsio. 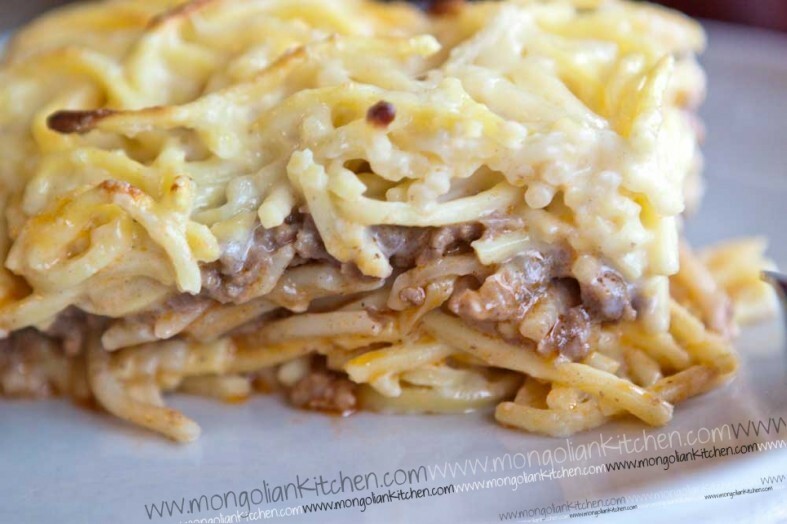 The dish is made up of pasta (penne, rigatoni etc – but we like spaghetti) mixed with bechamel sauce with a layer of beef in the middle and topped with more bechamel sauce. We had some fresh spaghetti which we thought we would try with this (hence why it is more yellow in colour). 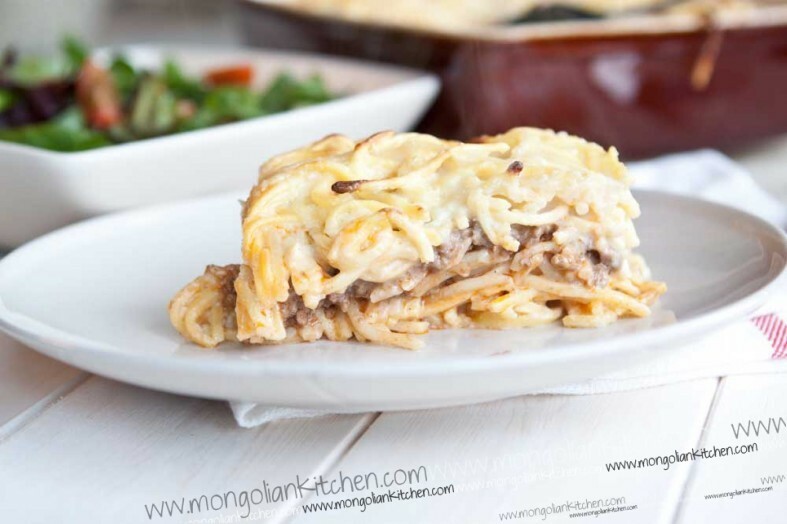 We like our Pastitsio to be creamy and mild and so the beef is lightly spiced with spices such as all spice and bay leafs. 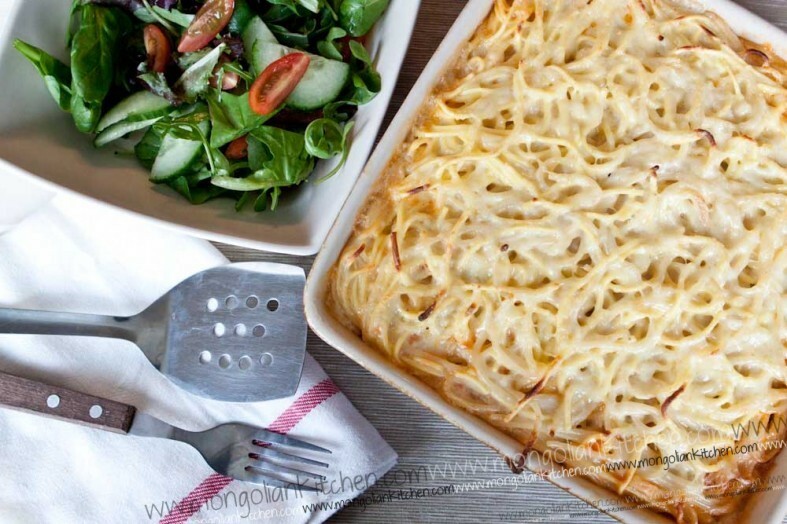 We loved this dish as kids and adults so we are sure this is a great dish for families with kids (and anything you can make in a big baking tray is perfect for family cooking). One thing to make sure you have is plenty of bechamel sauce as you need a nice thick layer on the top (we ran out of milk but the quantities in the recipe are correct). Cook out for 1-2 minutes until the flour smells nutty. Then begin adding the warmed milk while stirring well. 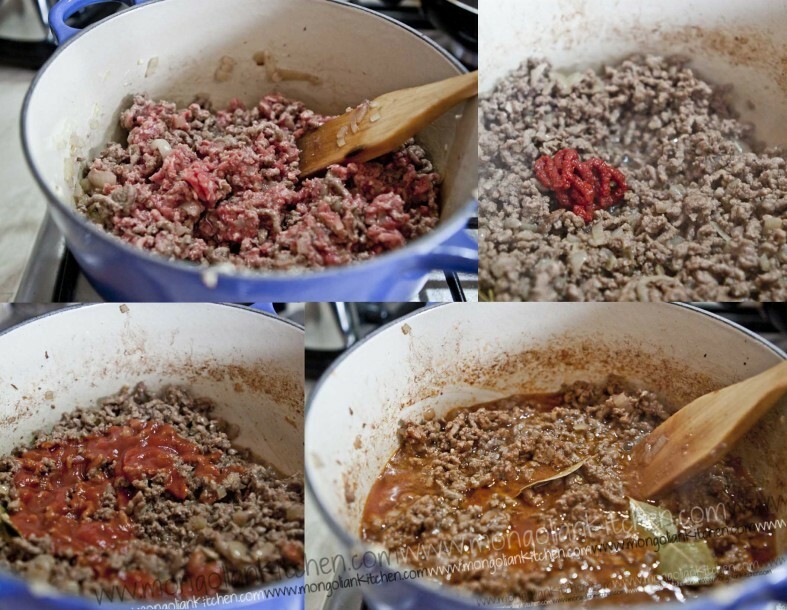 Add approx 2-3 tbsp at a time, combine the flour, then add more. 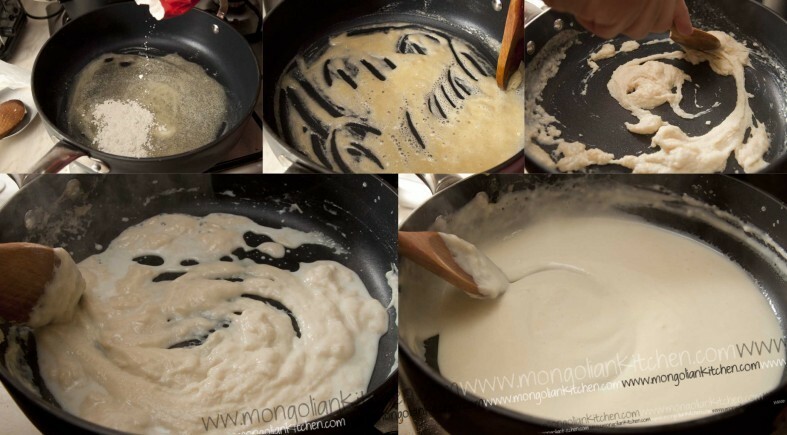 Continue doing this until a white sauce comes together. Continue adding the milk and stirring to avoid lumps. Add the egg yolks and whist quickly to combine and make sure the eggs dont scramble! 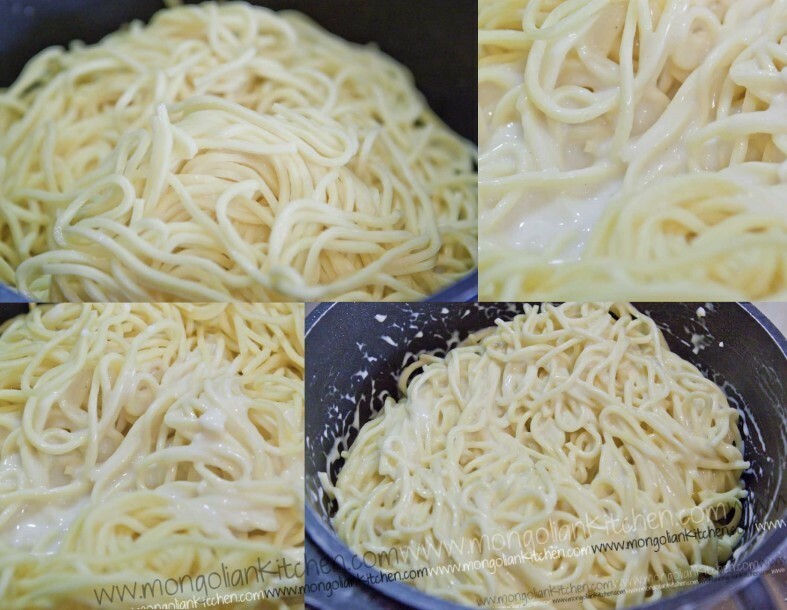 Pour over approximately ½ of the behcamle sauce over the cooked pasta. Combine until the pasta is well coated.